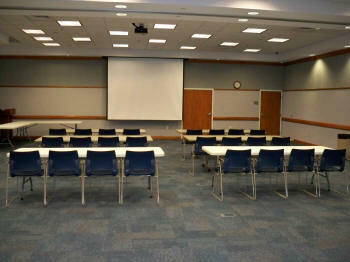 The meeting room at the Winter Haven Public Library is available for rent to businesses or non-profit groups including civic groups, public education agencies for educational or business events. All rentals must be free of charge to participants. This room is 1,770 square feet with a maximum occupancy of 100 people. It can be divided in half with each side having an occupancy of 50 people. Amenities include: tables, chairs, podium, easel with flip chart & markers, whiteboard and projection screen. Food and drink are permitted. The room is available for rent during regular library hours of operation. Monday & Wednesday, 9 a.m. – 6 p.m.
Tuesday & Thursday, 10 a.m. – 7 p.m.
Friday & Saturday, 9 a.m. – 5 p.m. Tables with chairs facing in one direction. Maximum seating is 24. Tables with chairs with aisle down the center. Maximum seating is 40. Straight row of chairs with aisle down the center. Maximum seating is 100. A fully refundable $100 damage deposit is required. Sales tax will be calculated when appropriate. 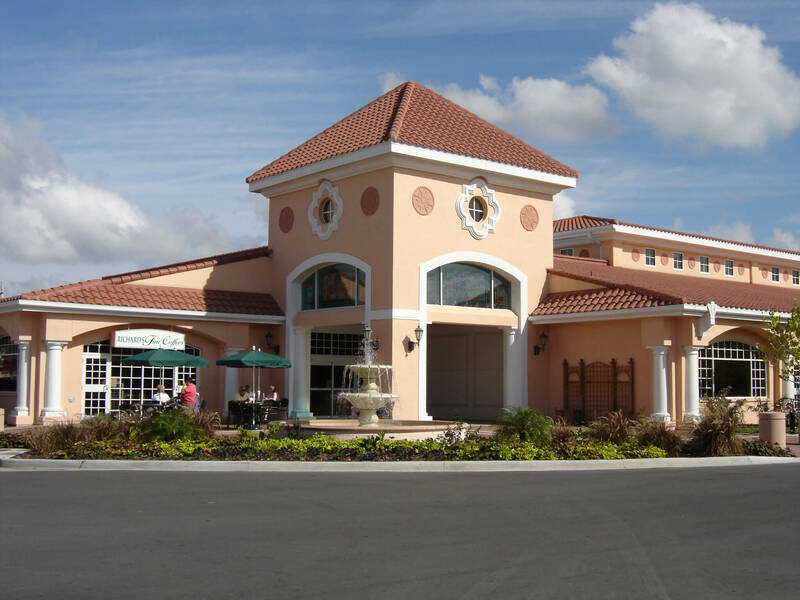 The City of Winter Haven has numerous rental opportunities available. Whether you are having a company gathering, training session, family reunion, wedding reception, birthday party or sporting event, the City has a space for you.